Urine Spots making my lawn look like a leopard please help! Dog urine and feces can often be a frustrating problem related to lawn care. 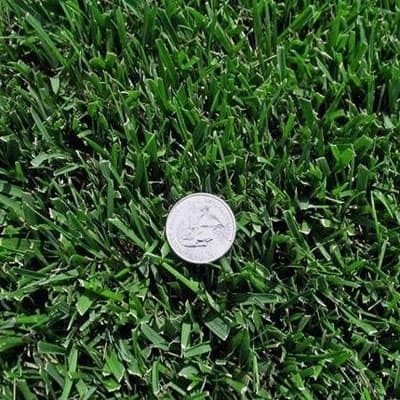 Small amounts may produce a green up or fertilizer effect while larger amounts often result in lawn burn or dead patches. While most burn spots will recover with time and regrowth, dead areas can be large enough in some cases to require reseeding or sodding. For home owners who are also dog lovers, this can present a dilemma, particularly when one family member prefers the dog and another prefers a well-manicured lawn. The fundamental problem with the presence of urine or feces on the lawn is related to nitrogen content and concentrations of these waste products. Nitrogen waste products are the result of protein breakdown through normal bodily processes. Urine is a more serious problem for lawns because it is applied all at once as a liquid fertilizer, whereas feces slowly release the waste products over time. The primary concern in addressing urine damage to lawns is minimizing the nitrogen concentration added to the lawn at any single time. 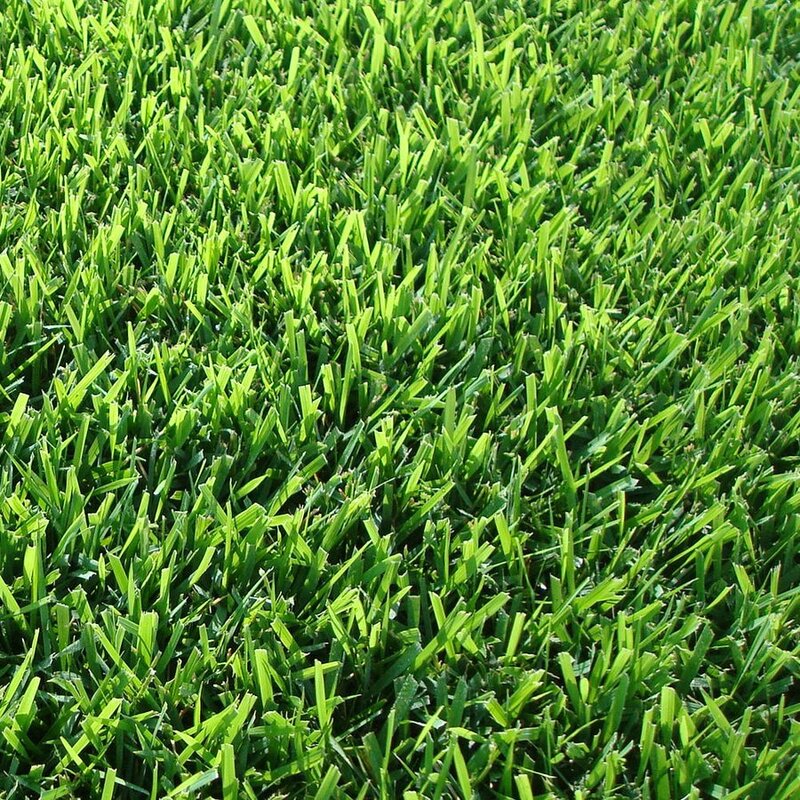 Female dogs are the primary culprits of lawn damage since they will urinate anywhere on a lawn and usually all at once. (Males tend to have spots that mark their territory). A combination of male and female dogs often results in double applications of urine when the male marks over the female’s scent. This results in a single nitrogen dump confined to a small patch of grass. The brown spot that results will often have a green ring around the outside. This characteristic brown spot, green ring pattern has been called “female dog spot disease” by some horticulturists. A great many dietary modifications for dogs have been tried often based on home remedies. A veterinarian should always be consulted prior to making any dietary modifications, whether they include additions or subtraction from standard nutrient guidelines. The addition of acidifying agents, including nutritional supplements like D-I, ascorbic acid or fruit juices will have no benefit for this problem. likewise, alkalinizing agents, including baking soda and potassium citrate will have little or no benefit for the lawn. All of the above may put your dog at risk for bladder stones and infections and are not recommended. When owners have reported successes, as is sometimes the case on internet forums, liquids likely improved the situation because the urine concentration after treatment was diluted. Safer ways to accomplish more diluted urine include feeding canned food, moistening dry food, and adding salt or garlic. One particular home remedy, tomato juice, likely has its primary benefit through both increased salt and water intake. Again, owners should not alter their dog’s diet without consulting with their veterinarian. Watering the spot after urinations will accomplish the dilution with no ill affects on the dog. Dilution with water showed good results as long as 8 hrs after the urination. What to do with spots once they occur? Best results are to flush the area with water to dilute the nitrogen that is still left. If you have a self repairing grass like Bermuda, Bluegrass, Park Blend or other warm season grasses that have rhizomes or stolons this area will eventually fill back in. 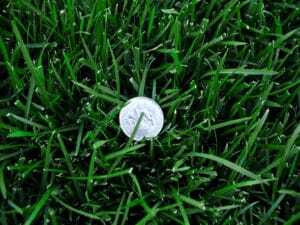 If you have Ryegrass, Tall Fescue (not rhizomatous) fine fescue or just don’t want to wait for the grass to repair itself you can seed or plant plugs into the spot. Make sure you purchase the same type of seed into these areas or you will have distinct spots of different looking grass. Small plugs can be taken from existing grass and planted into these spots using a hand aerator (sold at most garden centers) Water daily and watch the “dog spot disease” disappear. My dog is wearing out a path in my lawn what can I do? If your dog is running a path along a fence line or particular area in the grass here are a few hints to help solve this problem. I must first say that no grass has been invented that will tolerate a constant beating. Even carpets wear out if you walk back and forth on it long enough. So, just what is happening to the grass and soil that creates these wear patterns? When the dog/s run back and forth in the same area they are constantly injuring the crown of the grass plant or leaf wearing it down to the base of the plant. They are also compacting the soil in this area which compounds the problem in two ways. First, the compaction of the soil eliminates small spaces that were filled by oxygen/water and other beneficial gases that are fed into the plant by the root system. Second, when the soil is compacted it will not absorb water as readily as the other soil in the yard. This causes the water applied to your lawn to run off onto other areas of the grass causing the compacted area to become dry and eventually drought stressed. What can you do to solve this problem? The easiest solution for the areas along the fence or edges of the yard is to put in a buffer area between the fence and the grass. This can be mulch, rock or even concrete. If this is not possible or not desired there are a couple of small things that will help the grass withstand this traffic. The most important step in installing a new lawn is soil preparation and it is doubly true in area where your dog runs back and forth. Make sure you have incorporated 5 cubic yards of compost into your soil prior to installation of your sod. If you have an existing lawn then you will need to slowly improve the soil in these areas. Use a hand aerator along the path to reduce the compaction on a regular basis. Remove plugs and apply a light application of compost on the path. Lightly rake compost to fill voids left from plugs/aeration. Water area thoroughly with deep but infrequent applications of water. To help with water penetration between aerations you can apply a surfactant to this area. This can be as simple as spraying soapy water (dish soap works best) on the area or purchasing one at your local garden center (Revive contains surfactants). When applying the surfactants I would also recommend that you mix in a small amount of liquid fertilizer. This will keep the grass dense and growing aggressively in the wear areas helping the plant grow through the injuries. Using a compost tea or humic product can also help these areas by increasing microbial activity and improving the turfs root system. You can also place a string line or portable fence in these areas to change the wear pattern. Finally, if all else fails you can reseed these areas on a regular basis. While a dog-less lifestyle can ensure that “female dog spot disease” and dog traffic patterns are not a problem in your yard, homeowners and dog lovers have several practical options available to manage these problems. Coordinating a comprehensive program with your county or state extension horticulturist or lawn care resource and your veterinarian can keep your four legged friend on good terms and out of the dog house, so they too, can enjoy romping in your well manicured yard. -Provided by TPI and excerpts taken from: Dr. Steve Thompson, Purdue University Veterinary Teaching Hospital Wellness Clinic.